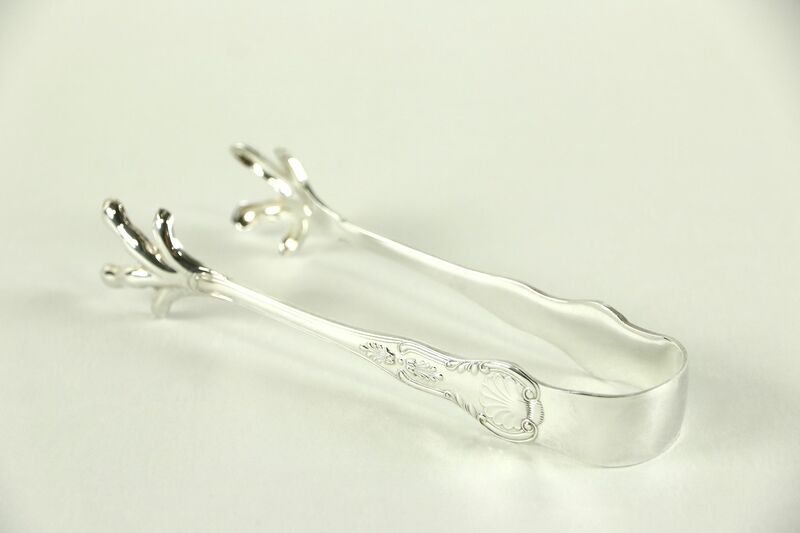 Signed by famous silversmith, "Reed & Barton" in the "Kings" pattern about 60 years ago, this heavyweight "claw" design serving tongs has a shell motif. American made vintage serving ware, length is 7." See 9 photos on Harp Gallery website that enlarge to full screen size.